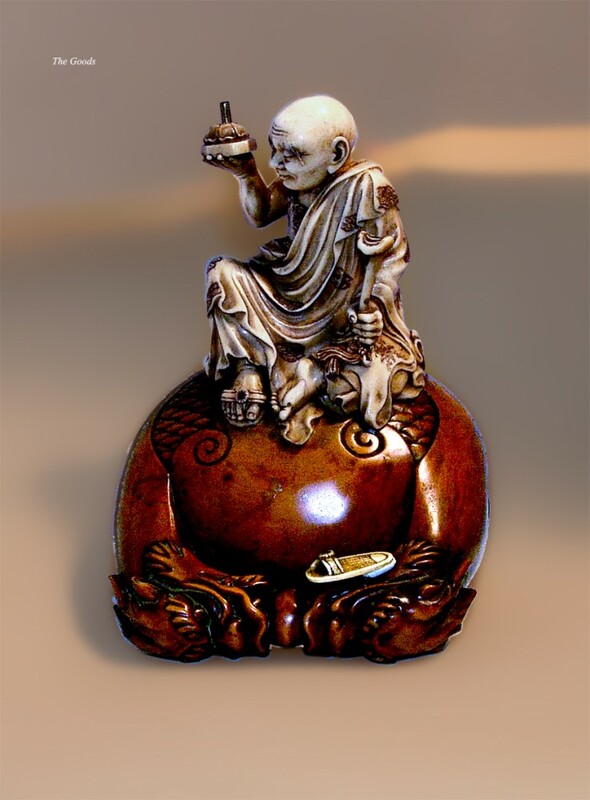 A truly rare and remarkable Masterpiece in Ivory and Boxwood. 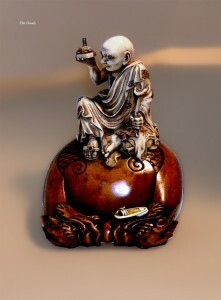 An Okimono from the Meiji Period (1868-1911), The figure, a blind Sennin, (Sage with Monk like qualities) has struggled to the top of a Boxwood sacred temple bell, loosing one of his sandals in the process. This follows rather closely the story of "Eimon" as he carried his crippled mother up the difficult temple hill to Kimiidera so she could pray, loosing one of his sandals and adding to his burden. Perhaps this is a representation of such a struggle to find inner peace and healing.